Help your plants grow upright using the Gardeneer Soft Plant Ties. This 15' long cord has a soft outer layer, allowing limbs to grow freely without bark damage. A sturdy metal wire center keeps the tie in place and enables it to bend in virtually any direction, for versatile placement. Use wire cutters or garden snips to cut the length of tie you need, and wrap it around your plant and a stake. The green color easily blends with the new tree growth, and the cord is reusable for several seasons. 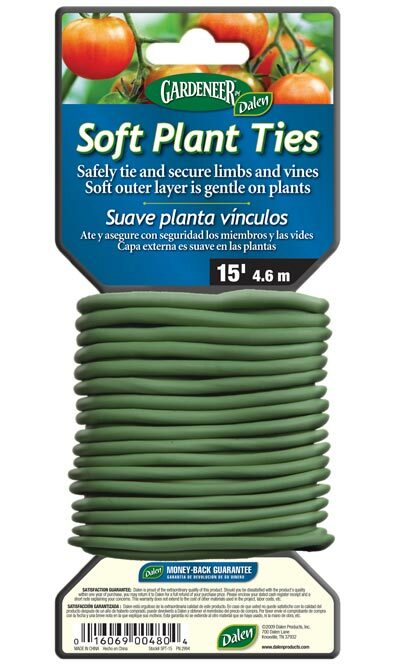 Keep your small trees or vines supported as they grow using Soft Plant Ties.